I love the beer events at Gordon Biersch Rockville! When I saw that brewmaster Christian Layke was planning a beer and wing event – Wing-a-Palooza – I was stoked! Beer and wings – does it get any better than that?! The menu consisted of 18 wings and a 6-beer sampler. There were three wings of six different styles, and each wing style was paired with a beer. 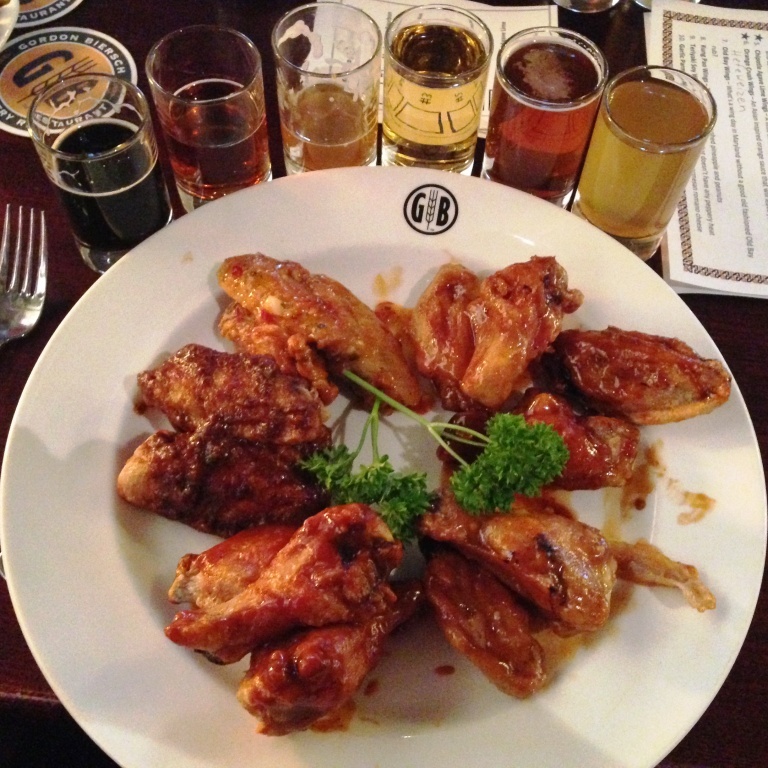 My mouth is watering as I think about these amazing beer and wing combinations. My favorite combo was the Habanero Plum Wings with the West Coast IPA. The wings had a super-spicy kick that paired perfectly with the hoppy IPA.